Florida Theme Parks .com is the world's largest most comprehensive resource for Florida Theme Parks. 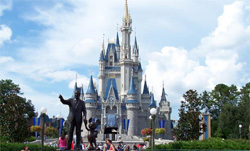 Here you will find detailed information, photos, addresses, distances, street maps and park maps for every theme park in the state of Florida. Florida is the Theme Park Capital of the world. Let us introduce you to the fabulous magical place of enchantment and excitement.